Thrasher Skateboard Magazine. Vol. 1, no. 1 (January 1981) - vol. 1, no. 9 (September 1981) (complete run of early large-format issues). San Francisco: High Speed Productions, 1981 - [continues]. Nine issues, ca. 30 pp. 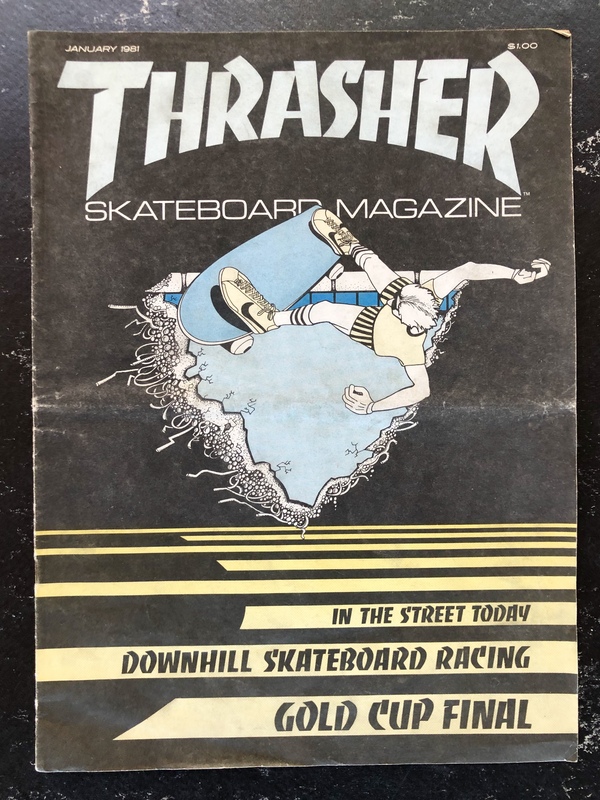 each, comprising an ultra-scarce unbroken early run of what is unquestionably the most influential skateboarding magazine ever published. Small folio. Near fine. Illus. wrappers, color. Twisted. No. 3 (March 1978). Seattle, Wash.: 1977-1978. Single issue, ca. 48 pp. of the West Coast punk fanzine, illustrated throughout with photos by Kathy Hammond, Dag Rex, K. Leo and others. 4to. Near fine. Illus. stiff wraps, saddle stapled. Nihongi, Satomi. Punk Rock in London. Documentary 1977-1979. Tokyo: Buronzu-Sha, 1979. First Edition. Unpaginated [128 pp.] photobook with texts in English and Japanese as well as 101 full bleed black and white photos documenting the primal days of London's punk scene. Small 4to. Mint. Illus. d.j. over cardstock boards. Images of possible suspects available upon request. Please contact Arthur Fournier if you are offered these items.